If they are lucky, Mary and her four children eat twice a day. Sometimes, they don’t eat at all for an entire day. “I do my best but I don’t have enough food. I spend long days looking for water lilies to feed my family,” recounts the 30-year-old South Sudanese mother with a soft voice, using hand gestures to show the small amount of food she and her children have to eat. The lack of food is taking its toll on Mary’s family. 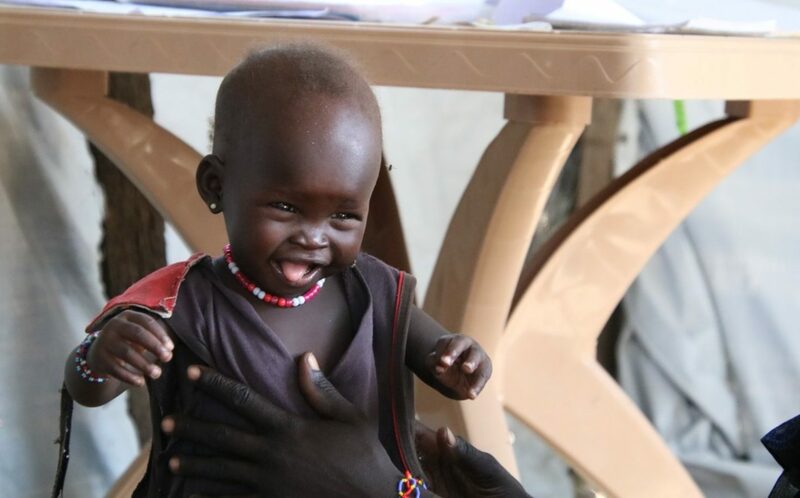 My colleagues talked with Mary when she arrived in one of our clinics in a remote area of South Sudan. She had walked three hours in the scorching sun, carrying her beautiful, smiling 9-month-old daughter Nyakuma. “Nyakuma is malnourished because there is not enough food and I don’t have breast milk. I’m bringing her to this clinic so she can be treated,” she tells one of my colleagues, holding her daughter close to her chest and playing with her hands. Sadly, Mary’s story is the same for so many South Sudanese. Despite a new peace deal aimed to bring an end to the civil war that started in December 2013, the humanitarian needs in South Sudan are still immense. Among the 11.4 million South Sudanese, a staggering 7 million are in need of humanitarian assistance. Hunger is rampant and alarming levels of malnutrition are seen across the country. For decades, the South Sudanese have been facing crisis after crisis. 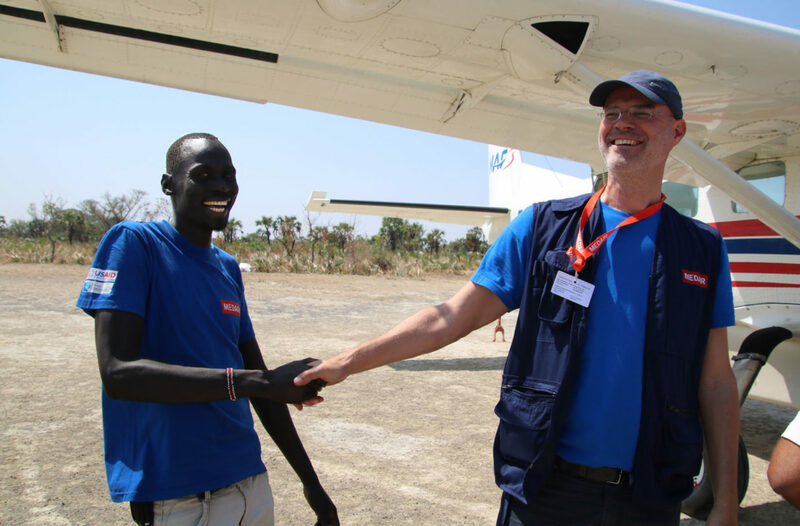 I started my humanitarian career with Medair in what was then southern Sudan over 20 years ago, responding to the deadly famine in 1998. It breaks my heart to return two decades later to find that the humanitarian situation is still dire. I listen to the stories of people like Mary with a very heavy heart. Yet, meeting and interacting with our South Sudanese staff in the clinic where I met Mary teaches me that although the situation may be seemingly hopeless and the suffering endless, we should never give up reaching out to those in need. Sitting under the shade of a large tree, my colleagues tell me how they and their communities were filled with hope when the country was declared independent from Sudan in July 2011. Just over two years after the independence, that hope was crushed as the country plunged into a deadly civil war. Millions have fled their homes or even crossed the border into neighbouring countries. Many of our staff did the same. 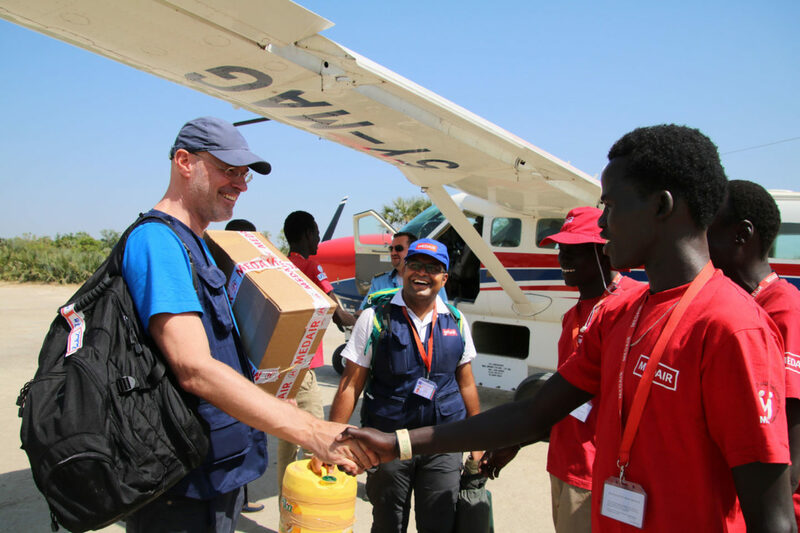 However, as soon as they had taken their families to a safe place in Sudan, Kenya, or Uganda, they returned to resume their work with Medair to serve their fellow community members—people such as Mary and her four children, who were living in their home area. My South Sudanese colleagues have shown a level of commitment that goes beyond expectations. Over the past years, waves of violence have threatened their lives and they have lost loved ones. Yet they continue to serve their people and show real care and compassion in times of total distress. As I fly back to South Sudan’s capital after my visit to Medair’s project sites in the centre of the country, I look out of the window over the massive swamps, and I think about the future of the country. The challenges and difficulties faced by people like Mary and her family are of such magnitude. It is not always easy to see the glimmers of hope in a country where the majority of the people are struggling to survive. The situation in South Sudan is complicated and the road to lasting peace and recovery is long, but if you ask me: ‘Do you still have hope for South Sudan?’ I would say ‘yes’. How can I not have hope if those affected by this crisis keep pressing on and doing everything they can to serve their people and build this country? I feel blessed to work alongside such committed people who have clung to hope and work incredibly hard to build a better, healthier future for Mary, her beautiful daughter Nyakuma, and the millions of other men, women, and children in South Sudan.